Link the gap between your Flipkart Marketplace and Customer Support Service of your Flipkart Customers and furnish close attention to each customer's query coming from your Flipkart Store. Confirm the order details fetching from Flipkart Account on the ticket for the proper validation and avoid bogus queries. 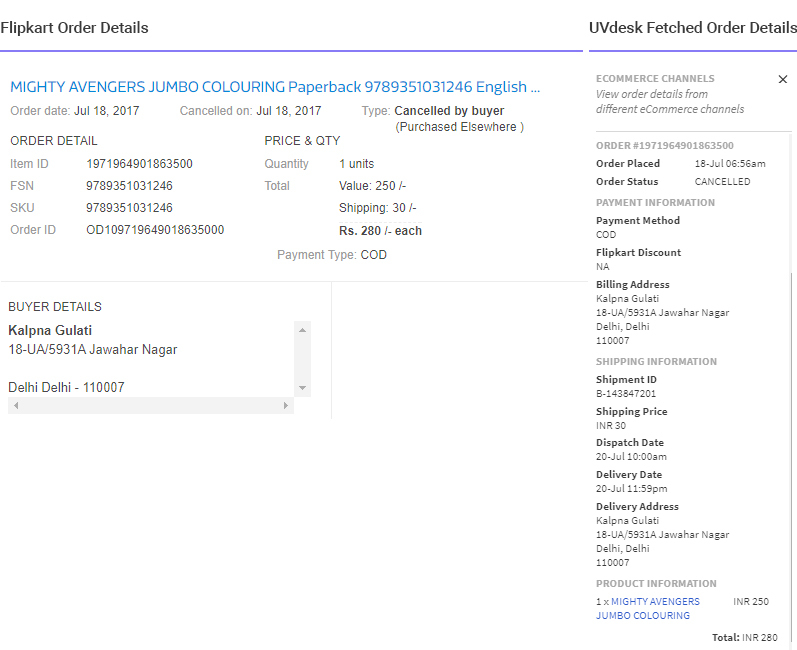 With the help of Flipkart App, the support staff can see the order related details on the UVdesk Ticket System which will be fetched from the Flipkart Marketplace. On the Dashboard, you will see "APP CENTRE" menu and under it, you will find "Flipkart". Click on that button and Flipkart App will get installed. Alternately, for uninstalling the app, go to Flipkart "Overview" section then click on Uninstall button. 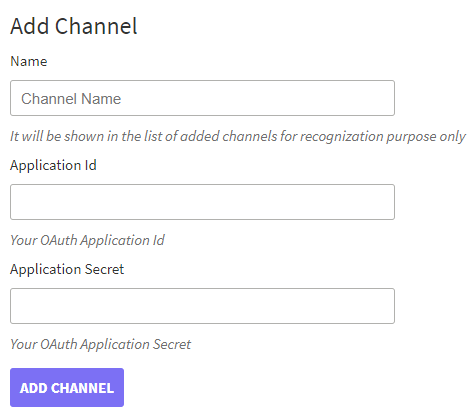 Enter Name, Application Id & Application Secret and then click on "Add Channel" button. Follow the steps which are mentioned on the UVdesk Portal as well for receiving the Application ID & Application Secret from Flipkart Developer Admin Panel. Login to your Seller Developer Admin Panel. Once logged in successfully, click on Register new application. Set the Application Type to third_party_application. 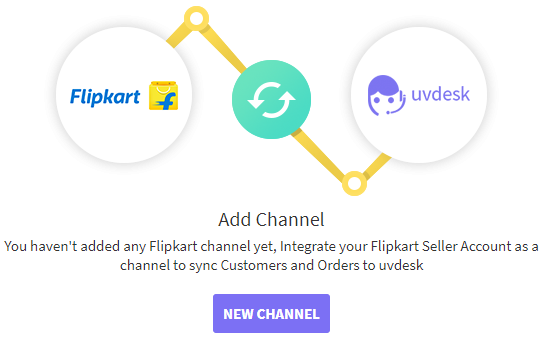 In the Redirect URL field, set the following url - https://creative.uvdesk.com/en/member/apps/flipkart/handle/redirect. 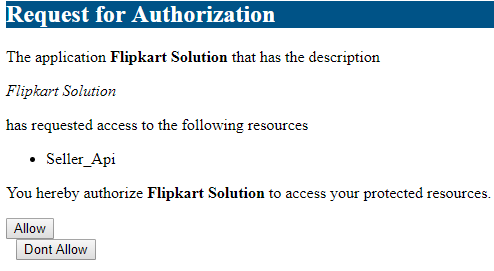 After entering Application ID & Application Secret, you will be redirected for the authorization, where you have to grant access to this application and then Flipkart Channel will get saved.